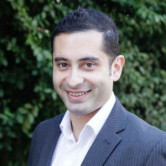 GroupM ANZ chief executive Mark Lollback was also impressed by a presentation that oozed confidence but not arrogance. “You certainly got a sense that Channel Nine is back, they were very confident but not arrogant in the way they presented the content. They've got a great portfolio of shows and reach,” he says. Zenith chief executive Nickie Scriven adds: “I thought it was great. They have a really strong content line up with fresh and proven formats that consumers want to see more as well as some interesting additions. "They key pillars of drama, sport, news and reality TV sets them up for a strong year." Nine's chief sales officer Michel Stephenson unveiling 9Galaxy at Nine Upfronts. One of the major announcements of Nine's upfronts is the roll out of its automated TV trading tool 9Galaxy. The tech has been on the drawing board at Nine's Australian Square HQ for some time now, but has finally been switched on as of today. The new system effectively allows advertisers to trade against off peak audiences and segments rather than spots. 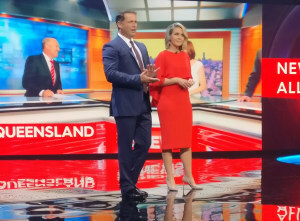 Nine is the second TV business in Australia to roll it out after Multi Channel Network pioneered this form of dynamic audience trading with Foxtel and Ten. Nine's sales boss Michael Stephenson last night proclaimed the tool guaranteed audience delivery and abolished the need for make goods. Unsurprisingly, media buyers have broadly welcomed the move. Earnshaw says Carat has been testing 9 Galaxy with some of its clients and the initial testing phases show the technology is working. “For our clients we're already there with Nine and have a roadmap," he adds. "Now its about building on that technology platform in order to start targeting through a data-led intent based targeting metric. "Taking that friction out of the buying process is critical for our clients and the agencies. We are very optimistic that next year guaranteed audience can become the mainstay of how we trade television for all free-to-air networks." Horgan says that Nine has answered the challenge of providing the market with an automated trading tool that offers guaranteed audiences and better targeting. However, he believes Nine's Galaxy of inventory should grow. “The question is why stop at off peak," Horgan says. "If you are going to light it up, it is going to be frustrating for buyers to have one system for one part of their buy with a specific vendor and have to swap over. It's a step in the right direction, but scale it." Hyland says it is exciting advertisers will now be able to target Nine's off peak inventory more carefully across segments rather than just age demos. “The wonderful thing Michael Stephenson was saying last night is that there will be no under delivery of TARPs any longer. They've promised to be able to precisely hit an audience – it's definitely a game changer," Hyland explains. “Now that they can target much more tightly with an audience it means that they will probably fill a lot more of their inventory across their whole off peak segment. It puts a real value on those shows, it will really help us with the audiences we are trying to target." Scriven says many of Zenith's clients are on stringent buying guarantees, which makes audience precision increasingly important. But there's another benefit for media agencies and the broader buying industry. "Streamlining the process and taking a lot of the manual work out for us, especially in the long-tail of TV buying, is critical," she explains. "It's really hard to attract good TV buyers these days and also keep them. The millennials coming through just want to work in digital so that talent pool is getting shallower and shallower. "We absolutely welcome this and I think you are going to see much more automation, up to 80% of inventory." Media buyers are largely impressed by Nine's consistency, confidence and a promise to deliver guaranteed audiences. AdNews approached a handful of media agency chiefs and investment leads to gauge how buyers felt about Nine's Upfronts event in Sydney last night. Carat chief investment officer Ashley Earnshaw tells AdNews he walked away from the event feeling optimistic about their automation, technology and digital proposition for next year. “It was slick, polished performance by Nine with the optimism of a network that has delivered on the majority of what it said it would,” Earnshaw says. Last year, Nine's infamous all singing, all dancing upfronts bonanza went for several hours and wheeled out every Nine celebrity still alive, a point that was cleverly joked about in the opening of this year's show. Omnicom Media Group chief executive Peter Horgan says this year's showcase was “what an upfronts should be”. “It had enough to whet the appetite without going chapter and verse, I thought they got the balance right,” Horgan tells AdNews. “There was good humility, they weren't talking about the opposition or where they were in the pecking order. Hyland founder and principal Virginia Hyland tells AdNews she was struck by Nine's “commitment to driving the quality of their content and delivering on every single time slot of the night”. “They're trying to create different channels where the audiences are segmented,” she adds. “They've got their main channel in a solid place so it will be interesting to see how they build on that to develop offerings on their digital channels and how this will play out in the market."